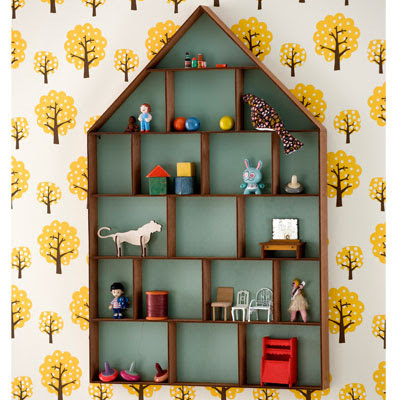 I'm really very smitten with this dorm shelving unit at Design My World. It's like a dolls house (which generally I do NOT like) but instead it's for books and pretty things. It makes shelves much more interesting, but unlike the more unique variations, you don't lose any storage space. It's £89 and all of your little trinkets will look lovely on it. 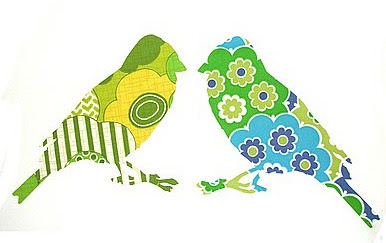 Despite these rather cute little birds being wall stickers, Supernice have teamed up with Inke and these are made from vintage wallpaper. So if you're looking for a bit of colour and pattern, but don't fancy going to town on a whole wall, these might be there way to go. Or, if you're feeling more daring, why not stick them over a different pattern? You can buy two for £12.95. 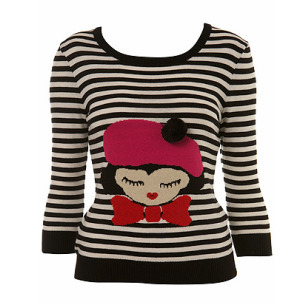 Miss Selfridge have really come up trumps with this stripy sweater. It's adorable! In true french style there's elegance, but just enough quirk to stay interesting. I love the stripes, and the cute design. And yes, in case you were wondering, that is a real pom pom on the top of the little girl's beret. Cute, non? Even better than that, it's in the sale and just £22. You can buy the petite size, or standard. 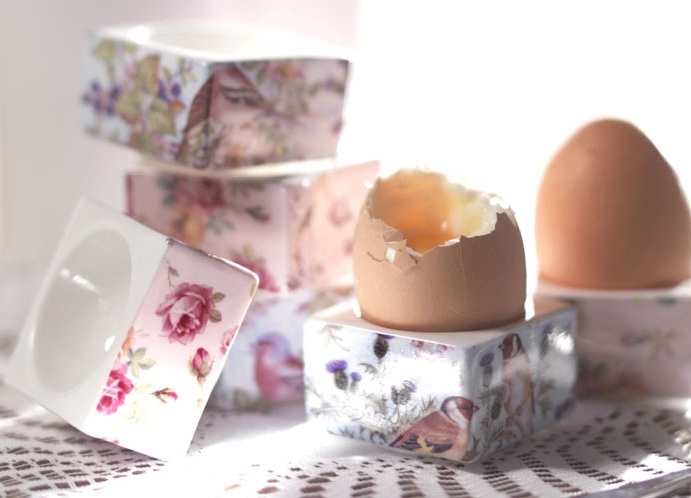 Dip your soldiers in style with these stacking egg cups (£7.25) from Patchwork Harmony. Created by ceramic designer Hannah Tofalos, they can be stacked for easy storage. And I imagine they'd make a satisfying little 'clunk' when you do. Clafoutis is a sweet egg custard, studded with fruit and baked until set. It's the perfect recipe for adapting for gluten-free diets as it uses very little flour - all the structure comes from the eggs. And despite sounding fancy, it's very easy to make and can look beautiful if you arrange your fruit in a pretty pattern and dust it with icing sugar. And I admit, technically this isn't actually a clafoutis, because a classic clafoutis is made with cherries. 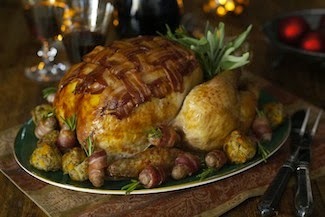 But it's spring and the supermarkets are full of gorgeous pink forced rhubarb just begging to be baked into a tasty pud. Because this is made with a different sort of fruit, it should really be called gluten-free rhubarb flaugnarde. But no-one could possibly pronounce that. Plus gluten-free clafoutis rhymes, so I'm sticking with it! 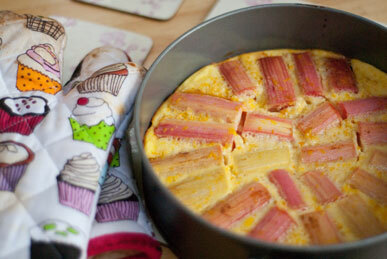 Toss the rhubarb with the orange juice, a sprinkle of cinnamon and 2 tbsp sugar in a baking dish. Pop into the oven for 10-15 mins until the rhubarb is soft but still holds its shape. Meanwhile, butter a 23cm round dish or tin. I used a springform cake tin for easy access later. Whisk the flour, salt and another sprinkle of cinnamon into the egg mixture. Now whisk in the milk, orange zest and vanilla essence. The batter will be quite runny. Drain the cooked rhubarb and arrange artfully in the buttered dish. Pour the batter over the rhubarb and pop into the oven for around 50 minutes or until set. I'm head over heels in love with these beauties, by Irregular Choice. 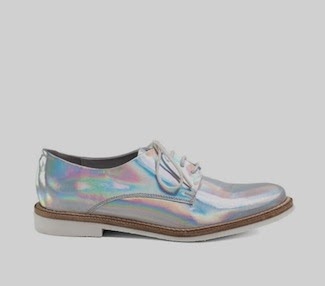 They're kitsch, they're colourful, the heel's chunky enough that I could hopefully stay upright in them, and they'd make me look and feel like an extra in Grease. And honestly, what woman doesn't want that every now and then? Chic, classy and sophisticated they ain't, but they'd definitely get you noticed. And they're fun and bold enough that you'd only need to team them with a plain pencil dress or circle skirt for a ravishing 50s-inspired rockabilly look. Perfect for posing by the diner jukebox and making eyes at leather-jacketed teddyboys with quiffs. The Rocko heels are available in pink or yellow, for £79.99. In a feverish state of fangirlish excitement about the forthcoming release of the next Twilight film? Counting down the days until the return of True Blood to UK television screens? If all these sharp-fanged bloodsuckers have got you in a tizzy, you'll probably be in need of a cocktail or two to calm your nerves. But if traditional ice cubes seem a tad too boring, then these fang-shaped ice moulds are far more vampire-tastic. The suitably-gothic coffin-shaped tray is made from super-strong silicone and is dishwasher-safe, and costs only £6.99 from Totally Funky. One of the best things about this job is uncovering little spots of design loveliness. The second best thing? Telling everyone you know all about it until their ears are bleeding. 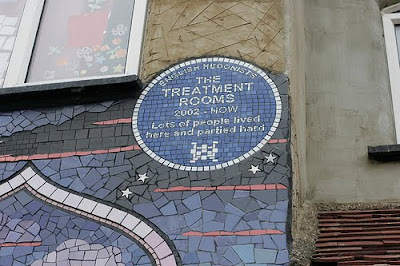 A couple of Domestic Sluts trotted to the West London suburb of Chiswick to see The Treatment Rooms, one such place. Despite the name The Treatment Rooms isn't an institute of any kind but home to one Baroness von Reichardt (her real name is Carrie, but 'Baroness' is more fun), her family and a lodger. 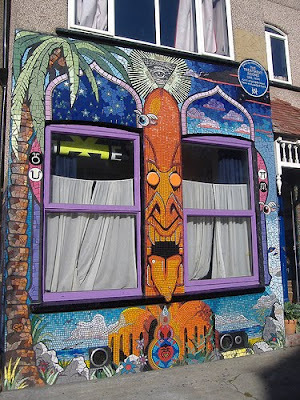 For several years Carrie has been decorating the exterior of her house with mosaics. And we're not talking about polite and neutral tiles - these mosaics form incredibly bright murals and patterns that will eventually cover every inch of the house's exterior. After marvelling at the time and effort that must have gone into this project, we inevitably wondered why she undertook it in the first place. "I find mosaicing meditative", Carrie told us. 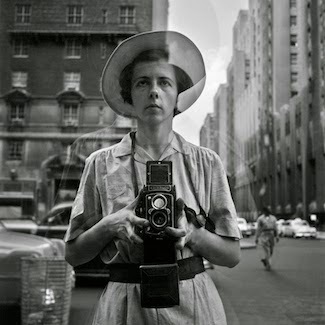 "I'm always rushing but cutting tiles and matching colours forces me to slow down". 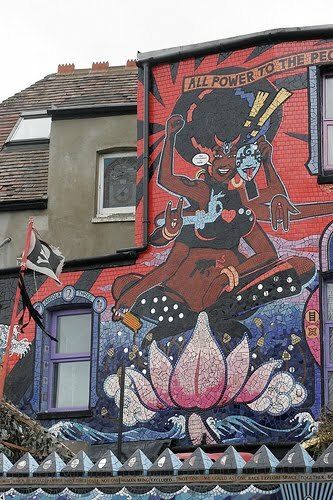 She also liked the idea of being in full control of her own project, with no councils or organisations censoring her ideas. A community artist by trade, this is something that Carrie is well aware of. As the house is privately owned, Carrie didn't have to get permission from the local council before embarking on the project. And luckily none of her neighbours objected. "I was expecting a fight but nobody complained. And even if they don't like it, they can appreciate the time and effort that's gone into it". Luckily Chiswick has "a history of supporting the eccentric". Even luckier, the conservation area in Chiswick starts at the end of her street - a mere three or four houses away. When not at work in The Treatment Rooms, Carrie can be found beavering away in her studio. She's currently working with four other artists "blinging up" a huge elephant to raise awareness of their impending extinction. It looks exquisite but it's painstaking work - it's taken them two months working 12 hour days to get most of it done. Carrie reckons it'll be another 10 years before she's completed mosaicing The Treatment Rooms. And what happens after that? "I'll probably mosaic the inside of the house too". Find more pictures of The Treatment Rooms at sian_meades' and carriereichardt's flickr photostreams. 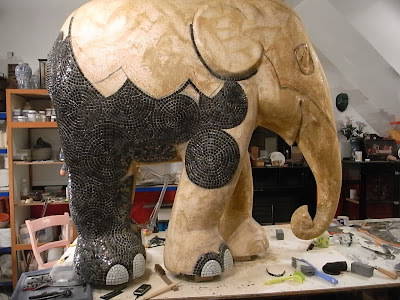 Like the mosaic elephant? You can see more photos of him here. This kitchen rack is an absolute must-have. 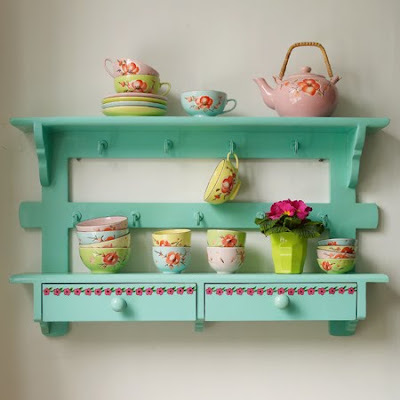 Useful, unusual and coincidentally matches the colour of the kitchen in Sluttery HQ. It's £120 and available on pre-order. The jasmine bowls are lovely too. 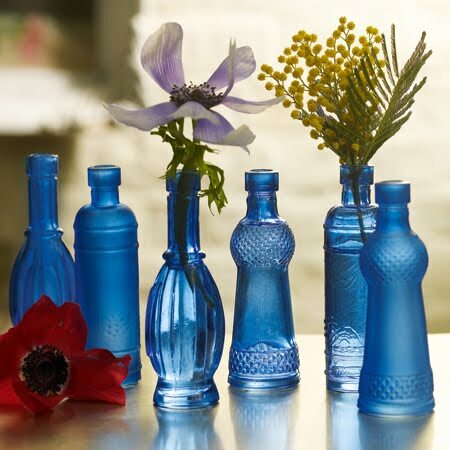 These stunning Aladdin vases just popped up in our Sluttery Picks Twitterstream and they're such an amazing colour. They're tiny, for the very prettiest little flowers, so they're £12 for six. 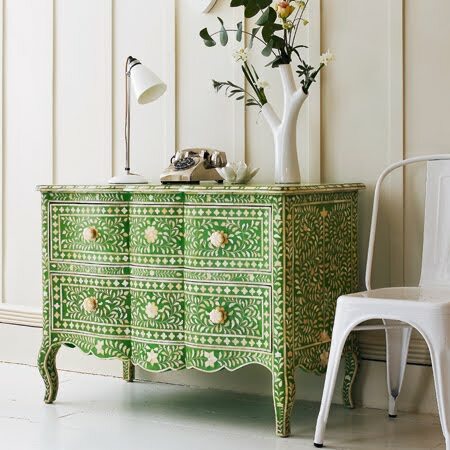 OK, so I can't afford this bone inlay chest of drawers, and it's the same as their black and pink versions. All they've done is change the colour. But what a stunning colour it is. Shame it's £1495. I love these items in the new range, but there isn't much that really stands out at me. Except these lampshades. But they're standing out for all the wrong reasons. I only discovered Lick the Spoon at the weekend, but they've got some very yummy looking chocolate Easter eggs and goodies. I'm sure all of their other chocolate is yummy too, but let's face it, chocolate tastes better when it's egg-shaped. Mini eggs don't often look this pretty. The dark ones are filled with praline, and the white ones with caramel. They're £6.95 for 8. This little golden goose is very cute indeed. He's £9.95. I might also feel sad about eating him. For a while anyway. If you want to buy any of Lick the Spoon's Easter items, you've got to order by 3pm TODAY to make sure they arrive in time. Or, pop along to Liberty and snap them up there. If, like me, you're less talented in the kitchen than most of the Domestic Sluts, you need to keep a few tricks up your sleeves. 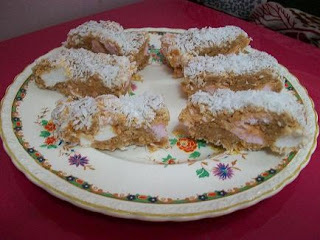 Lacking in baking confidence, I was continually at a loss about what to make when asked to provide a sweet treat. That's until my friend Rachael taught me how to make fifteens. Though they still seems something of a novelty at London's kitchen tables, apparently it's a very common recipe where she grew up in Northern Ireland. Like the Chocolate Fridge cake the recipe requires no oven cooking and derives its tastiness from simply chucking lots of good things together. They're called fifteens because you use 15 of each of the main ingredients. Traditionally this also includes glacé cherries but I tend to miss them out - there's already more than enough teeth aching sweetness in this recipe without them. Put your digestive biscuits into a freezer bag and use a rolling pin to crush them as finely as possible. Cut your marshmallows into quarters (or you could use mini marshmallows instead) and put them with the crushed digestives in a large bowl. If you've decided to use the glacé cherries, add them in too. Gradually pour in the condensed milk and mix the ingredients together until they become a soft, moist dough. Get a large sheet of baking paper. It needs to be about double the width of your baking tray. Put it onto the tray and cover the paper with a layer of the flaked coconut. Transfer your dough onto the paper and shape into a long rectangle, roughly one inch thick. The marshmallows will stick out and make it look a bit odd but trust me, it'll taste good. Cover the top of the dough with the rest of your coconut. Wrap the dough up with the paper and leave them in your fridge for at least 3 hours. It works best if you're able to leave them overnight. Once hardened, slice up the log into small slices and serve with coffee: fifteens make for perfect elevenses. 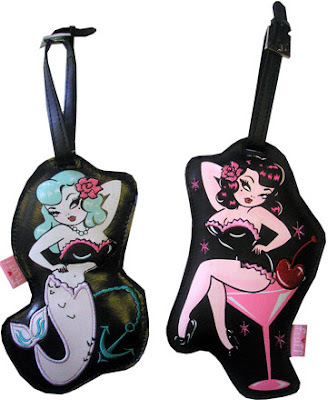 Maybe it's a touch too early in the morning for these two saucy minxes, but I just couldn't resist writing about these pin-up girl luggage tags, brand new from Lunacy Boutique. Jazz up a plain suitcase or overnight bag with your choice of six curvaceous cartoon vamps, printed onto leather-look tags with a secure, adjustable buckle and space on the reverse to scribble down your address details. They're £6 each, and I'm tempted to splash out and collect the whole set to use as gift tags doubling up as a small extra present for my pin-up loving friends. 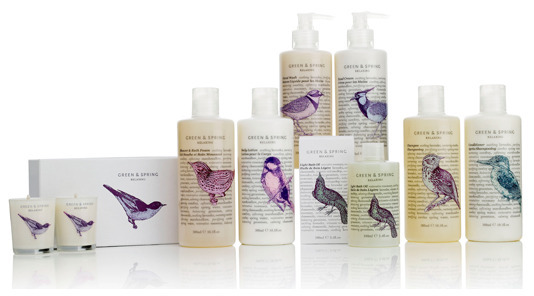 My goodness this range of toiletries from Green & Spring is gorgeous. It's like someone took Philosophy and Crabtree & Evelyn, and then merged them together into one little bundle of pretty. And after sniffing about in Liberty this weekend, I can confirm that everything smells very lovely too. It's not a cheap range, but I can see this looking perfect in a pristine white bathroom. Just a little splash of colour, and enough novelty to not look sterile. A candle will set you back £29, but it'll last for 60 hours. That's just 50p an hour. Bargain, no? These would make a really great gift for someone (hint: me). Can't get to Liberty or Harvey Nichols? 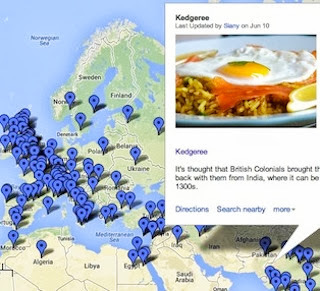 Check out their where to buy section. 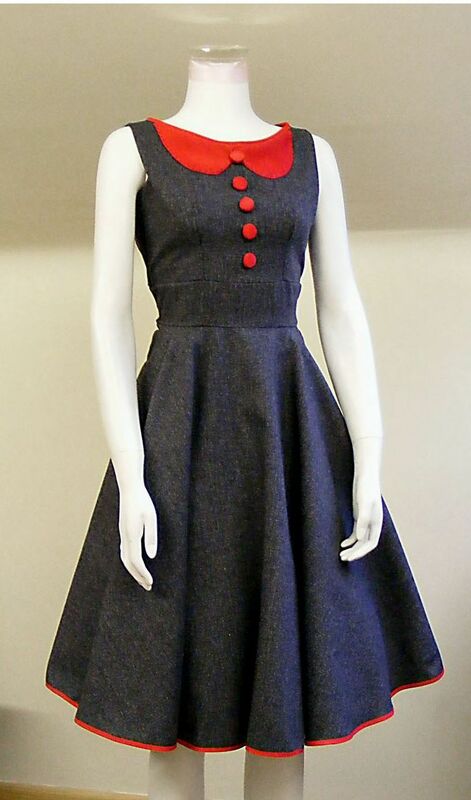 This might be my perfect 50s dress. I absolutely adore everything about it. Make Me A Dress have done themselves proud with this one. They have some great frocks, but this is most definitely my favourite. The shape! Oh my goodness the shape. It's ever so slightly rockabilly, but it still stays elegant. And despite my having issues with grey (I'm forever trying to find a shade that doesn't make me look washed out) I think this will be perfect. I love the red collar and little touches. I adore. I'm so utterly head over heels. I wish I had $135 to buy it though. 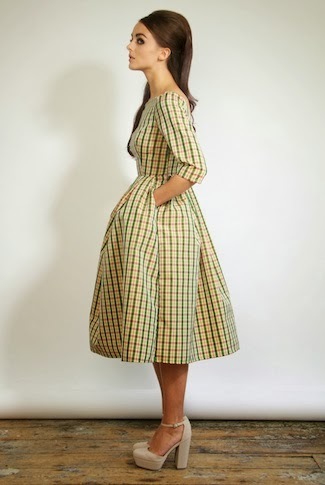 We're planning a Sluttery picnic in the summer (more on that soon) and this dress would just be perfect for rolling about on the grass. It's a 10-12, so if it'll fit you, go grab it. I love a bit of kitsch, and Artisan du Chocolat have made my dreams come true this Easter with this fantastic handmade chocolate Scotch egg. Of course Scotch eggs are not Scottish at all and were actually invented in London, by Fortnum and Mason, as this rather irritating song attests. Traditionally they consist of a boiled egg covered in sausage meat, then breadcrumbed and fried. 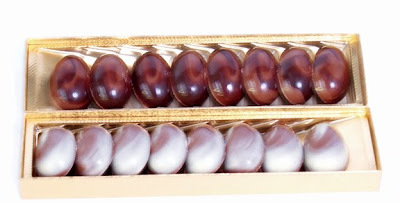 But as it's Easter, Artisan du Chocolat have recreated this picnic classic in chocolate form. The sausagemeat was approximated with pinkish chocolate marshmallow studded with crunchy bits of puffed rice. This was the weakest element of the egg for me - although faithful to the traditional Scotch egg design, there was a bit too much of the fluffy stuff for my taste. However, once I got through the marshmallow I had a real treat. 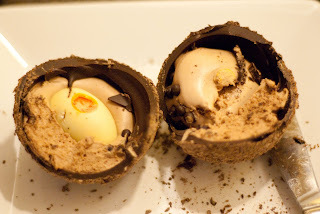 The white chocolate egg in the centre was filled with super-sweet vanilla cream "white" and a zingy passionfruit "yolk". Posh creme egg heaven. 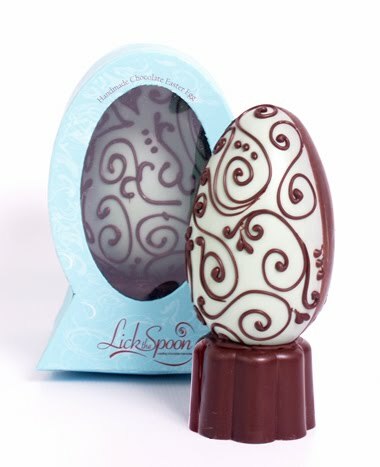 At £14.95 this egg doesn't come cheap, but it's certainly unusual, quirky and made of top quality chocolate. 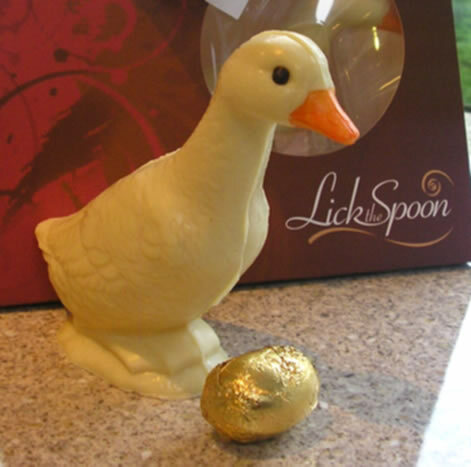 Order online or pick up another kitsch classic like this boiled egg from an Artisan du Chocolat shop. 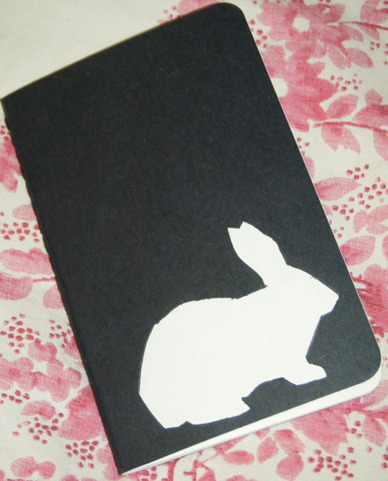 Now, I know there's a chance that my judgement may be being swayed by all the Easter and Alice in Wonderland-themed madness that's been bandied about of late, but I'm loving the simplicity of this white rabbit moleskine journal. With a hand-crafted silhouette cover and an inner pocket at the back for keeping tickets, receipts and all those other bits and bobs that otherwise end up in pockets and then shredded by the washing machine, it's small but perfectly-formed, and perfect for keeping in my handbag for scribbling on the go. And at only £3 with £1.50 P&P from Mighty Thrifty on Folksy, it's enough of a bargain that it won't matter if I change my mind and get bored of it after stuffing my face with Lindt bunnies this weekend. 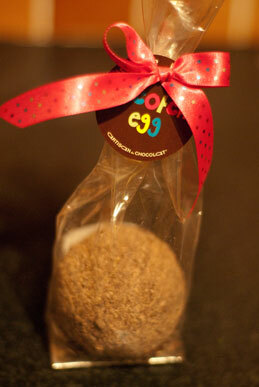 All this latest fuss about how naughty Nestle are has had me hankering for chocolate with guilt-free ingredients. 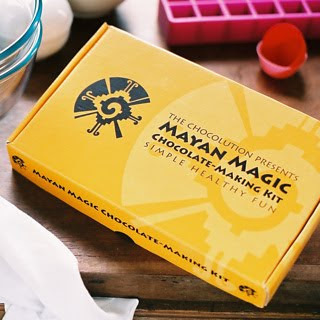 So I was rather excited when I found out about the Mayan Magic Chocolate-Making Kit, from Firebox. The kit contains ingredients free from dairy products, sugar and processed vegetable fats. Apparently idiot-proof, it takes only fifteen minutes to make using the enclosed raw carob and cacao powders, agave nectar and a natural blend of cacao and coconut butters, and includes suggestions of how to customise your chocolate with additional ingredients. At £14.99 for a kit which makes only 153gm, it's certainly pricier than treating yourself to a slab of Dairy Milk from the off licence when you've had a hideous day, but if you can resist its temptations that long, it'd be a original addition to a dinner party. You can show off your chocolatier credentials without having to adopt a dodgy Swiss accent or a comedy moustache like the experts in adverts. We've all been there. You've got to dress to impress for an important occasion: meeting the 'in-laws' / posh tea party / friend's wedding / the races (delete as appropriate). You don't mind splashing the cash for a brand new outfit... but you want to invest in items that you'll wear again. Under the pretence of 'researching' (well, I do work at ASOS HQ, remember?) and in a totally-not-skiving-honest-if-my-boss-is-reading-this, I scoured ASOS.com for a solution to this oh-so common Style SOS - why not give this fail-safe outfit a whirl? This floral-print silk tea dress has a vintagey feel and is super pretty. The V-neck, button-through front is ultra flattering, as is the gathered waist. Team with this grey drapey waterfall blazer £65 ASOS (not pictured) in chillier climes. The dress is a statement in itself, so keep accessories fairly low-key in soft shades of mink: a classic Chanel-esque quilted bag and too-cute peep-toes. Neutral tones also have the wear-with-anything factor, ensuring you get your money's worth! Special occasions are an excuse to bring on the bling; try a bold cocktail ring and these gorgeous chandelier-style earrings to rev up the wow-factor a few notches. If you're a crafter then you may well have heard of Purl, the mecca for all savvy New Yorkers with a yen for beautiful fabrics and luxurious yarns. 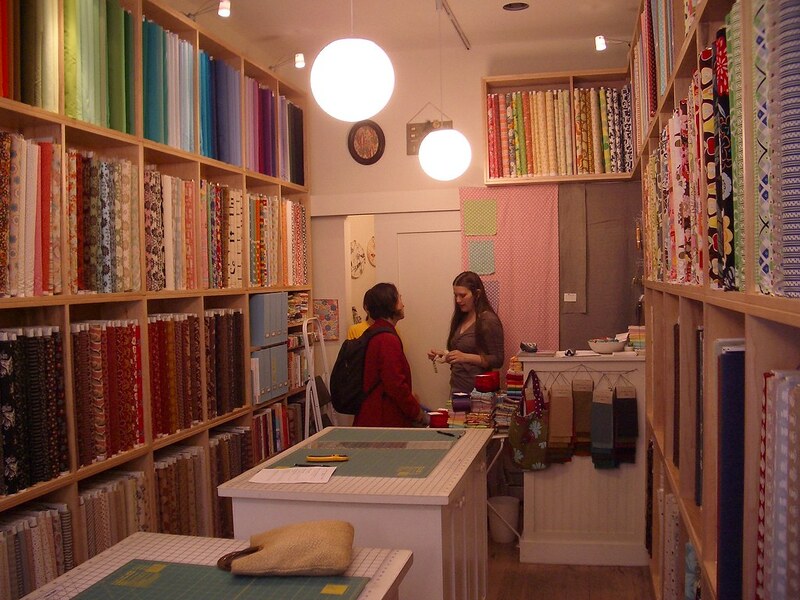 Run by Joelle Hoversen (in the picture on the right) Purl Patchwork is a long narrow Soho store that's literally crammed to the ceiling with gorgeous materials and accessories, including lots of quirky Japanese prints. Joelle is the author some classic crafty books, including Last Minute Patchwork and Quilted Gifts and Last Minute Knitted Gifts. Down the street you'll find Purl Soho, the sister store which sells all kinds of yarny goodness, including custom-colours of Lorna's Laces and the softest, most squidgy cashmere you could ever hope to hold. They're both tiny little shops that are bursting with possibilities! If you can't visit in person there's always mail order too. Or if you already have a stash of materials that need to be married up with projects, then get yourself over to the Purl Bee. The Purl Bee is an amazing online journal - detailing all the fantastic projects that the talented staff at Purl have undertaken. The photography is gorgeous, and the tutorials literally walk you through each project step by step. You can choose from all manner of crafts and there are always seasonal things to make, like the Easter Bunny Puppets. Whether you'd like to try knitting, quilting, embroidery, crochet or sewing, there will be an idea and a tutorial to suit. Although they use materials from their shop, you can easily substitute with your own (and you could crochet this very pretty basket to keep your stash in). Their ideas range from the very simple - Handstitched Napkins that you can make by hand in an evening or two, through to more ambitious projects like this amazing Wedding Quilt. If the V&A's Quilting exhibition has inspired you to try your hand at patchwork, then you could try these fabulous miniature pincushions - what a lovely thing to have for yourself or to give away as a gift if you could bear to part with it! Or for a very quick fix, you can create what Purl have called Swatch Portraits - use tiny amounts of favourite fabrics in inexpensive wooden embroidery hoops to dress up a wall. They've used Liberty fabrics but you can mix and match as you like. The Purl Bee is chock-full of inspiring images and crafty ideas, it's bailed me out at the Eleventh-Hour before and the galleries of images are simply fit to swoon over. Happy crafting! After being taught to make summer rolls like a pro last week, I thought I should share my wisdom with you. Although they seem quite fiddly, once you get on a roll (so to speak!) they are really quite easy and look impressive. They make a snazzy (if chunky) canape if sliced diagonally, or just pop a few in your lunchbox for a healthy midday snack. The vegetable quantities are all fairly rough and ready - it's really up to you how much of a particular ingredient you put in. Do put plenty of herbs in though - that fresh zingy taste is what Vietnamese cuisine is all about. If you wanted to ring the changes you could always replace the prawns with shredded cooked pork or tofu. You can find the rice paper rounds in an Asian supermarket or online from Wing Yip. First make sure all your ingredients are ready, as you need to work reasonably quickly to assemble the rolls. Cut the prawns in half lengthways. Cook and drain the rice vermicelli. Dampen a clean tea towel and put it on the worktop - this stops the rice paper drying out while you are working. Fill a bowl with hot water. Dip a round of rice paper into the hot water until it's soft and put it onto the tea towel. 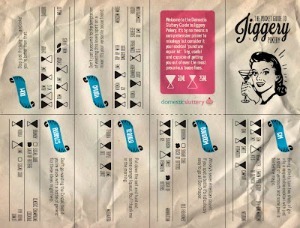 Add the ingredients in a row in the bottom third of the round. Start with a layer of four prawn halves, top with some bean sprouts, carrot and lettuce, then add the vermicelli and finally the herbs. Now roll up your roll! First tuck the bottom of the rice paper over the ingredients. Then fold the sides in. Now roll up tightly, tucking the sides in as you go to make a neat roll. Repeat for the other 7 rolls. Serve on a bed of shredded lettuce, with some soy sauce for dipping. A few years ago, I went through quite a stage of wearing an old duffel coat. In my head I looked like an art student from the 60s. In reality I had far more people comparing me to Paddington bear than to Ali McGraw. With regret I decided to hang up the coat for good. But I've seen a number of coats recently, lighter and brighter updates of the old classic, that have been convincing me maybe it's time to get up the duff(el) again. 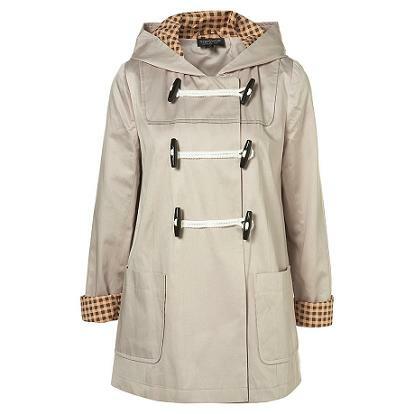 My desire to once again ogle that toggle started with this coat from See By Chloé. There's absolutely no way I could justify spending the £2oo-plus price tag but it's a lovely new take on the style. Because it's 100% cotton it's not technically a duffel coat (by definition, they're made from wool) but that makes it all the better for the Spring. More more within my budget and with a similar feel and light fabric is the Captain Duffel Coat from Topshop. Oh captain, my captain, how I love its tartan lined hood and cuffs. Most of all, how I love its £70 price tag. 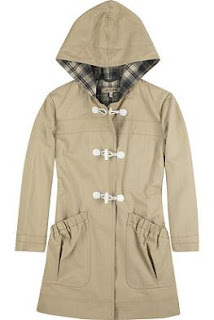 The humble Belgian fisherman was apparently responsible for the first duffel coat. 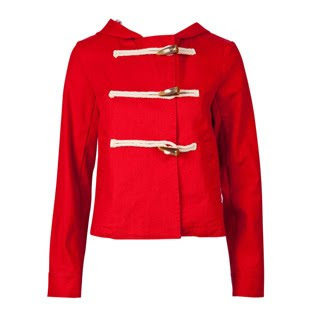 Pay tribute with the Louche Kitty jacket from Joy available in the suitably nautical but nice colours of red and blue. It's lightweight and it's cropped and, though you can't tell from this picture, it's lined with a pretty Liberty-esque floral pattern. And, while you may not want to consider Paddington a style inspiration, surely one of these coats counts as a bear necessity? 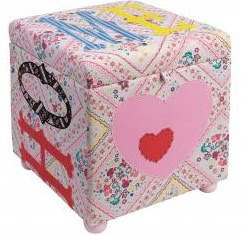 I know it's chintzy, retro and a bit like something my Grandma might have made for my bedroom when I was a child, but despite (or maybe because of) those factors, I still find this appliqued storage pouffe sweet and charming. It'd be ideal for stashing all those extra bits and bobs that end up in living rooms, that you need close to hand but aren't the prettiest of objects. Like remote controls, magazines, or if like me you end up getting ready for work in the living room so you can watch TV whilst you're at it, then hairbrush, straighteners, mirror and assorted make-up. The ditsy print fabrics mean it be easy to co-ordinate with most existing colour schemes, and the cushioned lid means it'd make a handy extra seat or just a comfy place for putting your feet up. It's £115, from Berry Red. And although that make prices makes me inclined to try to make my own (maybe slightly less floral) version, I'm sure it won't turn out anywhere near as homely as theirs. Ah, Iron Fist shoesies, how much do I love thee? Let me count the ways. 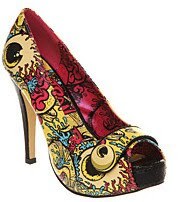 You make high heels and ballet flats emblazoned with green drooling zombies, anchors, leopard print, cupcakes and skulls. 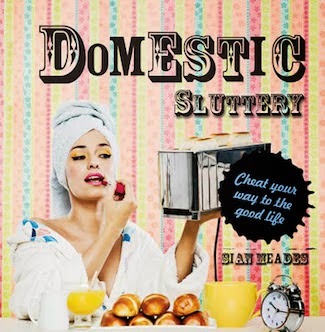 And as anyone who reads my Domestic Sluttery posts will know, these are a few of my favourite things. 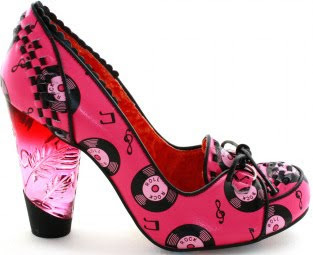 So, predictably, I love these rockabilly 'Oh No' platforms. The popping turquoise, yellow and pink print means they'd be perfect for teaming with black skinny jeans, whilst the combination of the feminine peeptoe style with the rock'n'roll tattoo print of eyeballs and tentacles makes them an edgy talking point. And the concealed platform means their less skyscraper-high than they look to the untrained eye, so I'm less likely to fall on my face after a cocktail. 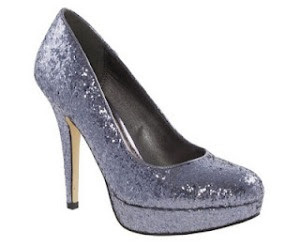 Best of all, they're only £55, from Office. 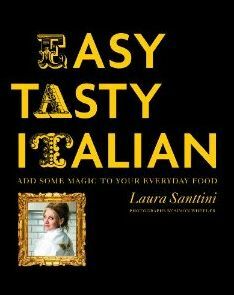 Easy Tasty Italian, by Laura Santtini, came out at the end of last year. Claiming to have "its feet the supermarket and its head in the stars,” the book will, apparently, “transform your life in the kitchen.” Whilst these grandiose statements can come across as irritating and pretentious, there's no denying that the author is a talented cook and an eloquent writer. Her passion for Italian cooking is obvious, and what comes through clearly is her enthusiasm for what she terms “the alchemy of cooking.” Although her recipes encourage readers to be creative and adapt the basic techniques she outlines to create their own signature dishes, this could be a tad overwhelming for anyone expecting a straightforward how-to. The book starts with a useful list of cooking equipment and the ingredients in a typical Italian larder, but if you're not familiar with all of these (and I wasn't), you'll be feeling out of your depth from early on. Despite the book having the word 'easy' in its title, for anyone not already accomplished in the kitchen, it's likely to end up as a seductive but ultimately decorative coffee-table book. 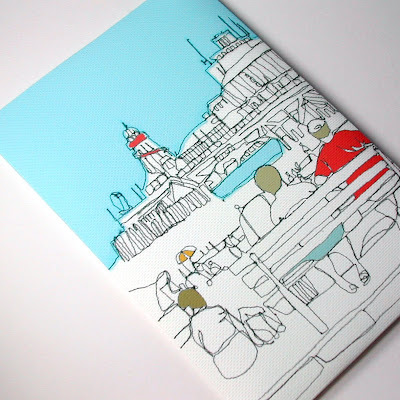 But, if you're already a whizz at whipping up masterpieces, then you're likely to love this. With a foreword by food historian Gillian Riley explaining the book's focus on “the pursuit of the amazing bursts of flavour that Italian cooks have been getting together since the beginning of time, and which have only recently been analysed and diagnosed as umami.” Throughout the recipes, Laura consistently returns to creating these 'flavour bombs,' and for the experienced culinary queen, this is where the gold is; the way to ramp up and transform a familiar dish by cleverly combining a few key ingredients and adding these to tired recipes that you've cooked up a million times before. Easy Tasty Italian is published by Quadrille and can be yours half price from Amazon for £10. My love for postcards gets even stronger this time of year. 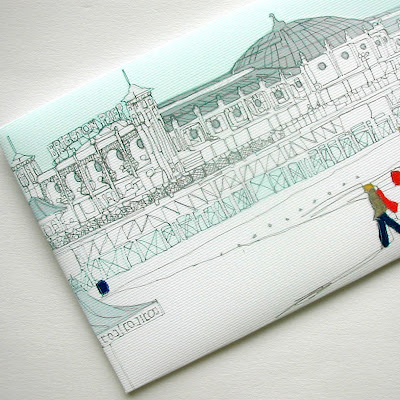 Because now it's perfectly normal to send postcards to people (not that that stops me any other time of the year). 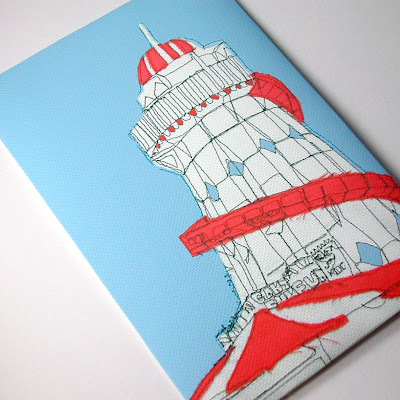 But now I've spotted these textile postcards from Gillian Bates, and they're really rather cool. This Wish You Were Here card is just £3.50. 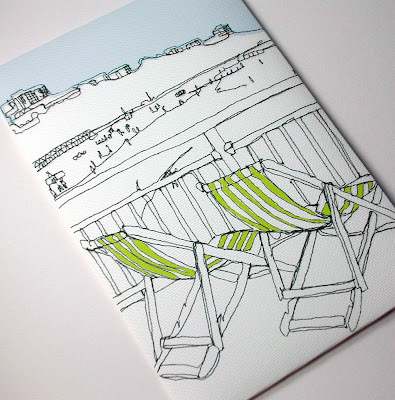 Love love love the green deckchair design. All of these cards make me want to go on holiday. You might find I've jumped on a train to Brighton very soon. The old school style of these postcards is what makes them so perfect. I'd much rather send one of those than a boring stock photo card. And I'd much rather receive one as well. We've been fans of Kat Swank for a while now. She's been featured by Goddess Guide's Gisele Scanlon in her latest book The Goddess Experience, and just one look at her headpieces and decorations and it's easy to see why. 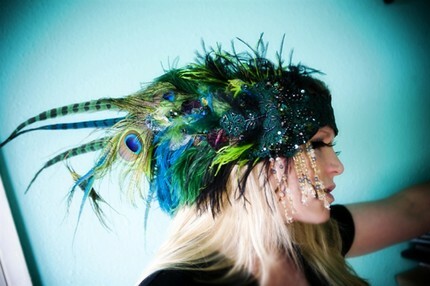 OK, so at $700 this feather headpiece might not be the cheapest option, but it's so very pretty. And it looks surprisingly wearable. 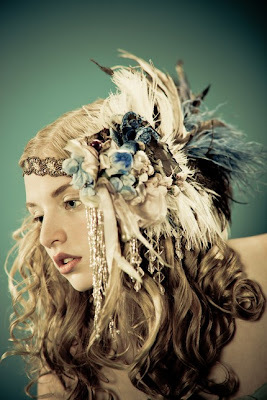 Not just headpieces! Things for your feet too! Er... footpieces? Whatever you want to call it, it's $75 and looks rather fabulous. This is my favourite piece of the bunch. It's $170 but it's so very gorgeous. I'd wear this with everything. Craft venues in London aren't anything new. The Make Lounge, Create Boutique and others have been around for some time running stitchy projects with gossip, giggles and a glass of something fizzy to hand. But what I like about The Papered Parlour, the latest craft venue to come under our radar, is that it's really serious about art and design. Take a workshop there and you're bound to retain some skills. Located in Clapham, The Papered Parlour has a lot going for it. For a start all teachers are graduates of the University of the Arts London. And whilst other craft venues seem to concentrate on projects you could complete in an evening, The Papered Parlour workshops are more ambitious. Expect to set aside an afternoon - after all, you can't learn to make a silver ring in two hours. 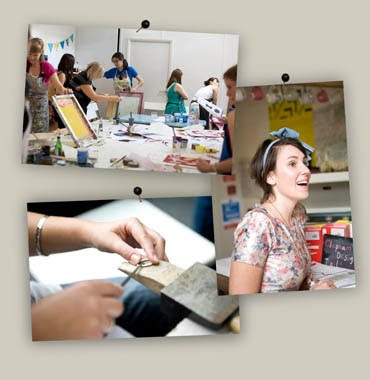 All of the workshops are suitable for beginners (unless specified) and the projects range in complexity from screen-printing a t-shirt to mastering the art of quilting. I particularly like the look of the Make a Dress Weekend where you can design and make your own dress from scratch. Yes you could probably rinse out Primark for what it'll cost you (£147.50, including tea, cake and materials) but you get a fabby new dress made by your own fair hands. And it's always nice to take home something pretty you've made. 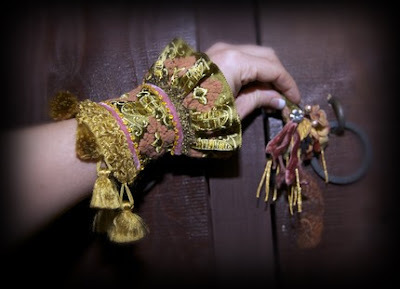 The Papered Parlour can be found at 7 Prescott Place, SW4. 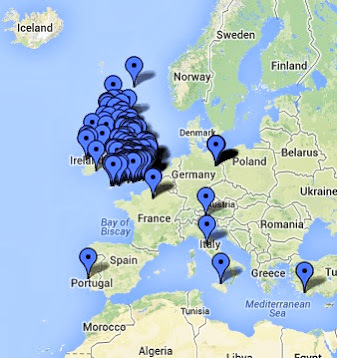 Check out and book upcoming workshops here. Ooh, and don't forget to get yourself on the mailing list! Is there a more spring happy way to spend the evening than drinking in the dwindling sunshine? (Aside from drinking in sunshine that isn't dwindling.) OK, I grant you, sunshine is dwindling at around 5:30 at the moment, so you'd have to be quick, or fully commit to afternoon drinking, but the clocks go forward on Sunday! Which means daylight and sunshine and all those fun things. 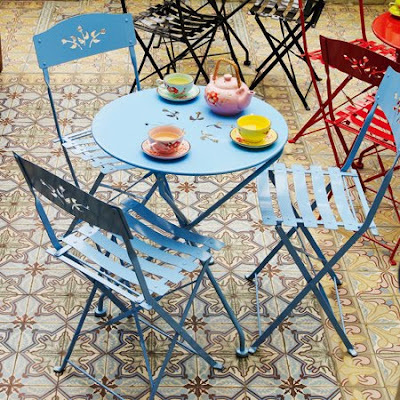 So, I'm coveting this garden table set from Graham & Green. The blue is my favourite, and it's pretty reasonably priced too. The chairs are £56 for the pair and the table is £45. Free delivery until the 25th too. The winner of the chocolate hamper! Give me Liberty, or give me MAC! What do the Domestic Sluts smell like?